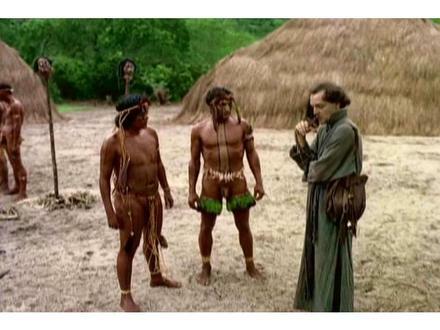 Anchieta, José do Brasil is a Brazilian movie produced in 1974 about the interaction between a Spanish priest and the native Tupi Indians. 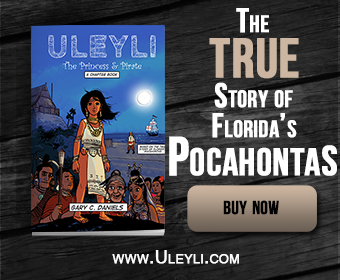 There is evidence that Tupi Indians had also migrated to Georgia and South Carolina and were one of the tribes the first French and Spanish met. Since this film was very well researched and used Tupi actors and villages as locations it provides an invaluable visual representation of what these interactions would have looked like in La Florida as well.